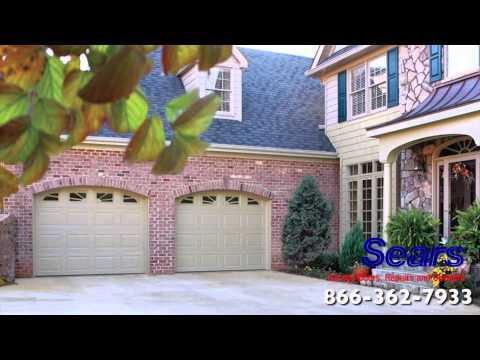 Sears Garage is a top provider of garage door services, with the expertise to repair issues such as broken springs, or totally replacing a garage door system, and everything in-between. Give us a call at (336) 793-2627. Sometimes when a garage door has endured numerous years of use, it will eventually require a new door to continue to be functional. Sears Garage Services hires and trains only the best professional technicians that can expertly handle any new installation or repair. Ask us about our warranties, which are some of the strongest in the industry and our special financing offers. For garage doors that require replacement, Sears Garage Services technicians are knowledgeable and fast, as they can quickly and efficiently replace garage doors that have begun to deteriorate. If a garage door only requires a repair, Sears Garage technicians can easily determine the issue and make the necessary repair with ease, replacing broken springs or cables as each case necessitates. Did you know a garage door is opened and closed over 1500 times per year? Garage door openers can wear out after extended usage. Sears can either repair or provide installation of a new Craftsman opener with modern features to link with your smartphone or home computer system. Winston-Salem Garage Door is a proud member of the chamber of commerce. We volunteer our time to help local small businesses in Winston-Salem to achieve success. Member of the BNI Winston-Salem Wealth Builders chapter, serving the Winston-Salem Piedmont-Triad area. Connecting with other local businesses to helping serve the Winston-Salem community, and grow local business opportunities. Other BNI members can click the link below to connect. We live, work, and play here in Winston-Salem. Fall is an awesome time to visit, come join the Winston-Salem Garage Door team at some of our local events. 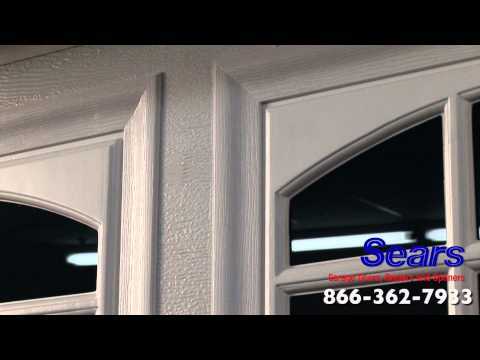 Add natural light and beauty to your homes design with Sears Garage Door window options. Sears garage doors offers not only the best in warranties and durability, we also have a fabulous custom options such as color, styles, and window options. Visit www.searsgaragedoors.com and select our design center to find the garage door and options that fit your home and family. Replacing a Garage Door? Sears Garage Doors offers a variety of colors and styles for your new garage door. Whether you are looking for a high quality, well-insulated garage door or a basic garage door, you will find what you are looking for with our traditional garage door selections. For your convenience we offer free in-home estimates and knowledgeable sales associates to help guide you in selecting your new garage door. Rich is a great guy. He is friendly, knowledgeable and efficient. He delivers as promised, I would recommend him and his dependable services to anyone in need of a quality product and an installation that can be counted on. He is top notch, Sears is lucky to have him representing their product. This is the second time we were fortunate enough to get Rich Mattera as our technician. He was extremely professional, and thorough as always. Great Technician! completed job in a professional manner. Very happy with the door and person who installed it..
Everything was fixed, on time, and Rich Mattera was easy to work with. Rick Mattera was really great. He did some extra work to get my garage door working smoothly, and his craftsmanship was good. Very friendly and helpful. Would definitely use his services again. Rich is the best! I call Sears because of him. Don't ever let him go. A very positive experience, thank you. I was very satisfied with the entire experience. I will call again. Customer service was great! Very friendly and timely service. Rich did a great Job- will use him again in the future. Richard did a fantastic job! I would recommend him to anyone looking for this type of service. Rich was great! Thanks for the repair! Rich Mattera did a nice job and cleaned up well afterwards. If the door continues to operate as well as it does now, we will be very satisfied.